The Circus In Flames bring their "original garage string band music of the Canadian south" to Vancouver’s largest free Music & Arts Festival. The band will perform at noon on the Macdonald Street and West 4th Avenue stage. Other performers at this year's event include Slow, Frazey Ford, Bif Naked, Leeroy Stagger and many, many more. Created with love in 2011 by the members of the Kitsilano West 4th Avenue Business Association, Khatsahlano features multiple stages showcasing more than 50 of Vancouver’s top musical performers as well as the eclectic work of local artisans and street performers. 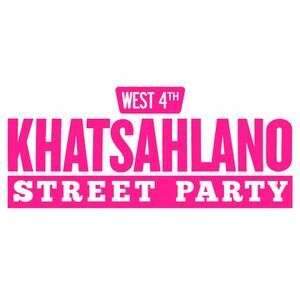 This 10-block street fair, spanning from Burrard to MacDonald Street on West 4th Avenue also features a wide variety of food options, bustling patios, giveaways, special activities, and licensed beer gardens! Come and celebrate with us on Saturday July 7, 2018 from 11:00 am to 9:00 pm.